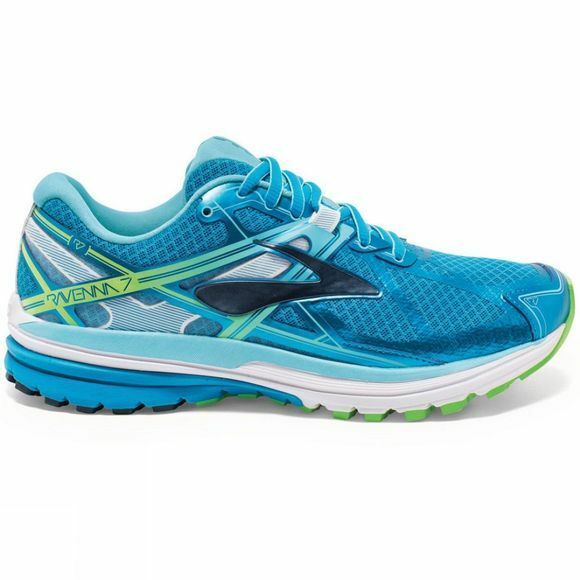 Zoom into action with the great energy return-delivering Forefoot Pods of the springy Ravenna 7 shoe by Brooks. 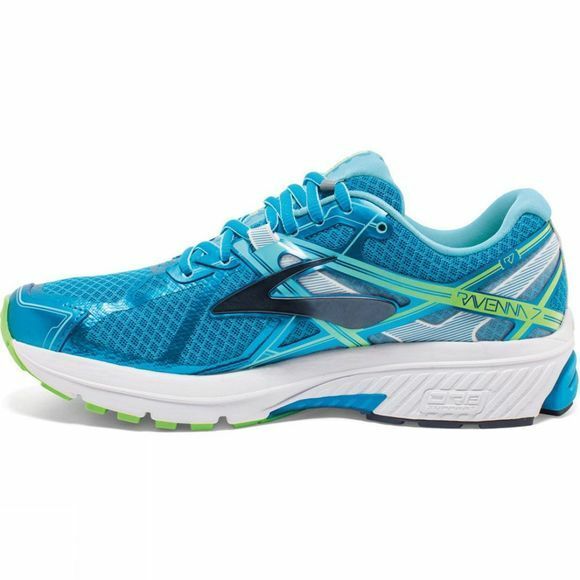 With a BioMoGo DNA midsole that adapts to your stride for custom cushioning, a supportive Progressive Diagonal Rollbar to help overpronaters and a sleeker mesh upper to provide a glove-like fit, these women's shoes look sleek, toned and prepared to take on the world. DNA technology cushioning system blended with the BioMoGo midsole to provide adaptive cushioning throughout the midsole vs. just in the heel and forefoot. A tri-density midsole which helps prevent overpronation and delivers a smooth transition from midstance to propulsion phase. A technology that customizes your foot's lay-down to provide amazing cushion and smooth heel-to-toe transition throughout the run. A crash pad which features deep grooves, which allow for a smoother transition.